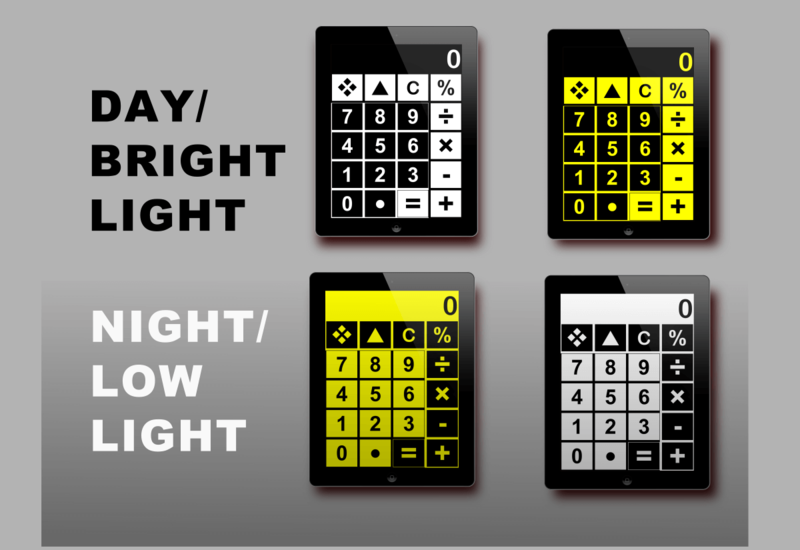 Big Calculator Low Vision App for Low Vision users. for iPhone and iPad Low Vision users. 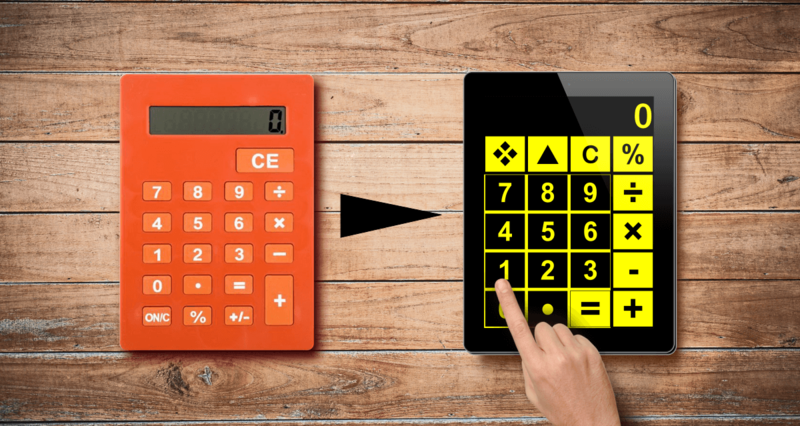 Big Calc is a Large Print Calculator Visual Impairment Aid. Big Calculator is an improvement on the Jumbo Size Visual Impairment Calculator. It has lots of Visual Aid features that the real life version does not have. The LCD Display is much larger and clearer. On a normal Calculator the numbers on the LCD are black on grey, on the Big Calc, the numbers are on a high contrast Background so they are easy to read. Thre Buttons are Huge! They are as big as they can be, there is zero wasted screen space. The bigger the button, the easier it is to be accurate. There are 4 high contrast modes for day and night/low light viewing. Just Tap the ❖ key to swap modes. Your favorite mode will be saved even if you close the app and will remain until you change it. 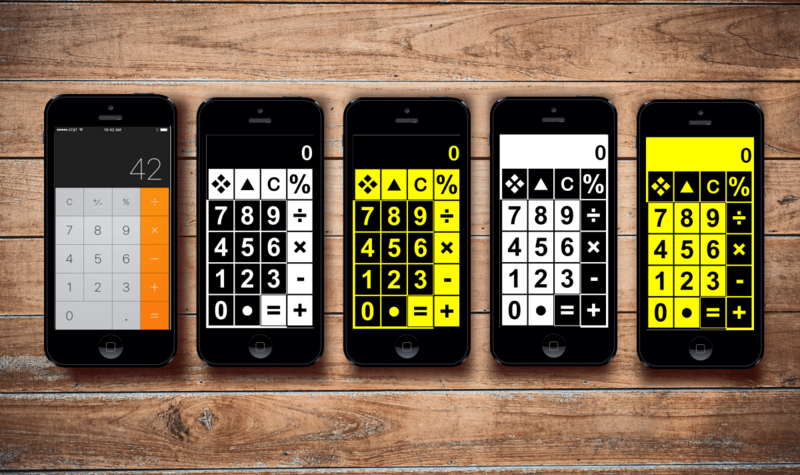 Big Calc is also avaliable for iphones, it is far more low vision friendly than the built-in calculator. Big Calc always has good contrast, in very low or bright lighting. You do not have to increase your ipad brightness. Look at the photos on of Big Calc under artificial indoor lighting, in the dark and in outdoor daylight.